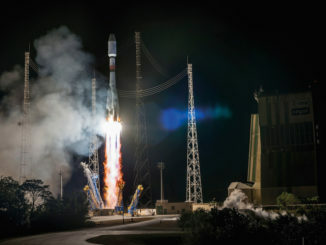 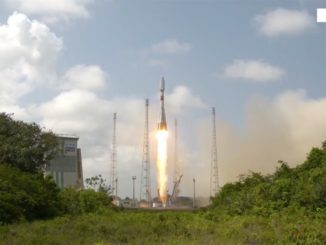 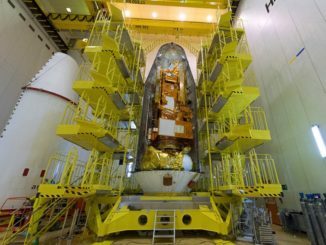 Europe’s MetOp-C weather satellite launched aboard a Russian-built Soyuz rocket toward polar orbit Tuesday night from French Guiana, joining an international fleet of meteorological observatories critical for global weather forecasting. 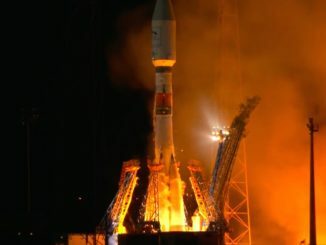 Liftoff occurred at 7:47 p.m. EST Tuesday (0047 GMT Wednesday). 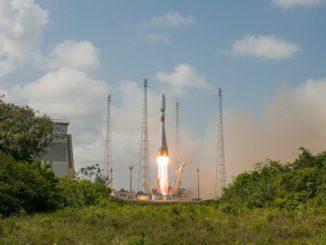 A new European weather satellite is ready for launch Tuesday night aboard a Soyuz rocket from French Guiana, and these photos illustrate the final weeks of the spacecraft’s launch campaign. 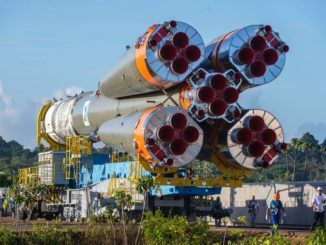 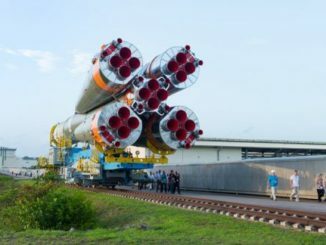 A Russian-built Soyuz booster arrived at its tropical launch pad in South America on Friday and was joined with a European weather satellite for launch Tuesday night.